Providing a foundation for a life-long faith journey. ALL children participating in FCC events, worship, and education, need to be updated annually to ensure our records are accurate and helps us accommodate their needs. Click here to register kids for the 2018-19 Program Year! 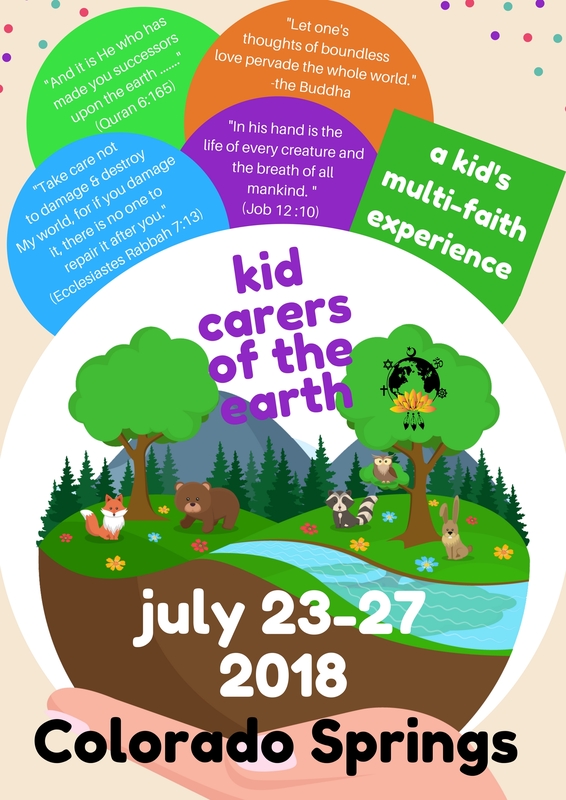 By opening to this opportunity, children are growing to understand and deepen into their own faith practices while gaining greater understanding and tolerance of the faiths of others. This summer's video, beautifully created by Nawal Shahril. Video from the 2017 A Kids' Multi-Faith Experience, created by Nahwal Shahril. At FCC, we encourage children to participate in worship and the sacraments. We hold Multi-Generational Worship services on the first Sunday of each month. Godly Play Worship is available for both services as an option for preschoolers and kindergarteners on these Sundays. Offered during the 11 am service. This is Christian Education, rooted in ancient storytelling while adopting active Montessori pedagogy. Offered during the 8:30 am and 11:00 am services. Kids explore worship themes, and develop skills to help them participate and understand worship in a child-friendly setting. Ubuntu’s (or older shepherds) develop leadership & service skills by partnering & modelling for our youngest children. “Seasons of the Spirit,” a global, inclusive & ecumenical curriculum, is used to explore the teachings of the Bible in new and exciting ways that relate to modern life, including how God is revealed in science, the arts, and technology. Children are developmentally divided by age into classes. A fun, 8-week session offered during the Faith Formation Hour each year to 3rd Grade students to increase understanding and appreciation of the Bible. The course concludes with a Sunday Bible presentation including a name ritual during a service. The UCC affirms that sexuality and spirituality are inextricably connected and that both are gifts from God. This comprehensive & developmentally appropriate program is offered during the Faith Formation Hour every other year. Courses are facilitated by trained specialists. Offered for 1st, 5th/6th, 8th/9th, 11th/12th Grades and Young Adults. Care for children from birth to age 3 is provided each Sunday morning by a team of trained nursery attendants. Check the weekly bulletin for the availability of nursery/childcare for certain church events.